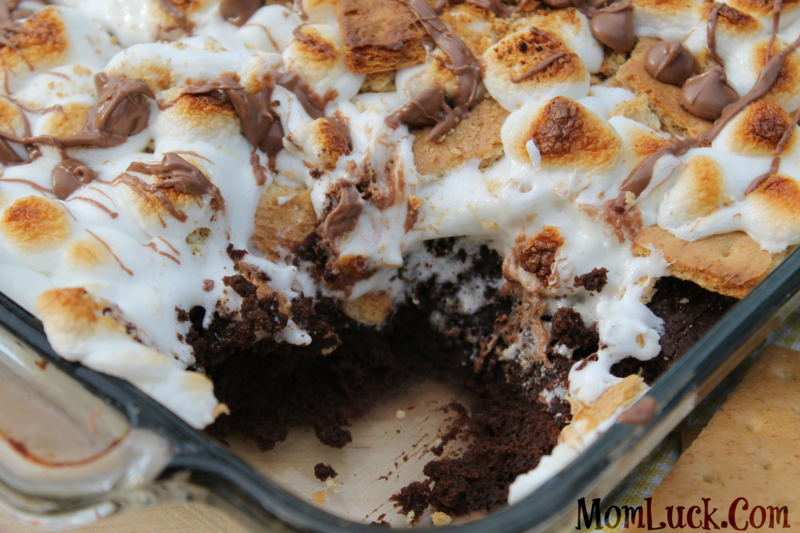 Two of my favorite things to make are Brownies and S’mores! So one day I decided to combine the two and the results were AMAZING! Seriously one of the best treats ever. 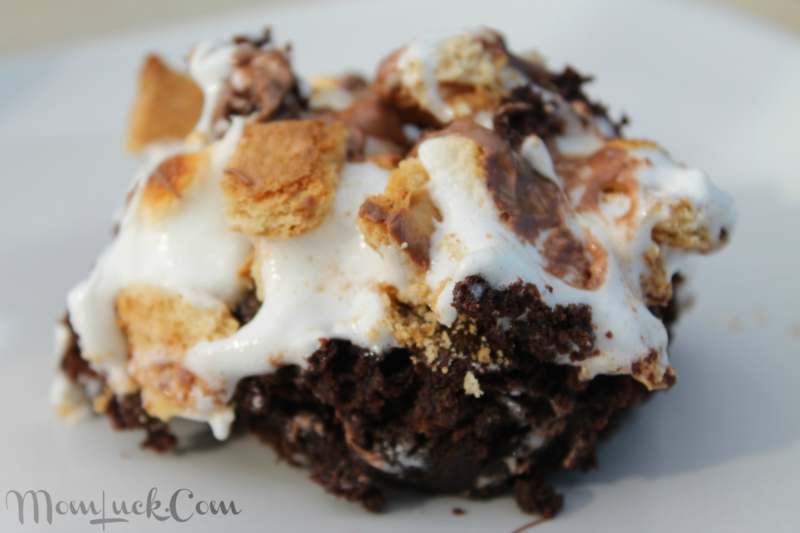 These S’mores Brownies are super easy to make and you can either use a box mix or if you’re feeling extra adventurous you can make my moist and delicious brownie recipe. 1 Box of you favorite Brownie Mix. Or if you feel like going a few extra steps you an make these moist brownies from scratch using my easy brownie recipe. First thing you want to do is bake your brownies following the instructions on the box, or make them from scratch. Be sure to add about a cup of chocolate chips to the batter before you put them in the oven. Take the brownies out of the oven and set aside. Set your oven to Broil. After they are done, immediately sprinkle the top with crushed up graham crackers, then top with the marshmallows. Place them back into the oven for just a minute or so. You want to watch the marshallows carefully as they burn easily. Take them out as soon as you notice the marshmallows turn a golden brown color on top. Remove the brownies from the oven and sprinkle the top with the remaining chocolate chips (About a cup). *Store at Room Temperature in an air tight container. 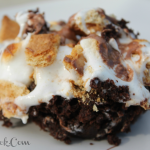 These S’mores moist brownies from scratch are amazing and so easy to make. Hope you enjoy this recipe as much as we do. They look really yummy! Is this a dessert that would taste good if put in the fridge overnight? I like making thing the day before if possible. Oh my, you just made this pregnant girl CRAVE these. They look amazing! Oh my GOSH, that looks incredible! Oooo… that gooey topping is so tempting. Oh wow these look great, I agree these are two great desserts. Would love to try them together. This sounds so good! Thanks for sharing. 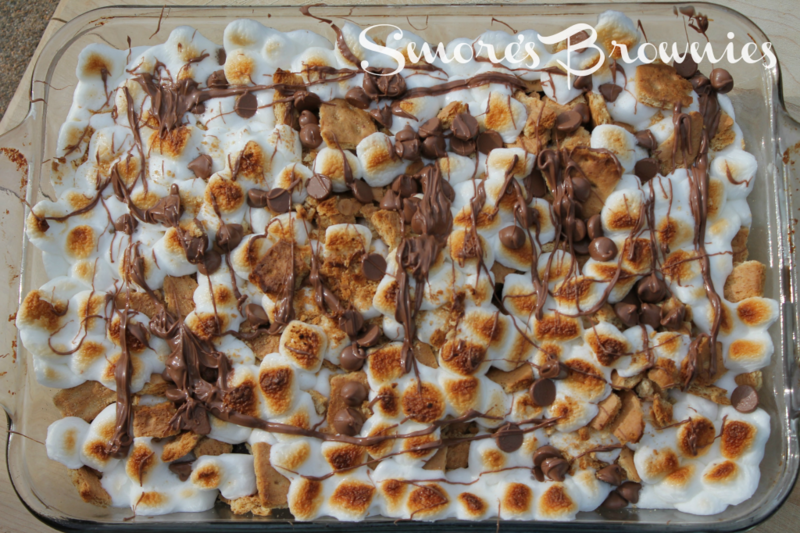 So yummy – nothing beats s’mores! OMGosh! This looks so tasty! Goodness gracious, that looks delicious! mmmm yumm easy to make, we love! These look REALLY good. I want to make them tonight but am missing some ingredients. It’ll have to wait for next week. I remembered seeing this long ago but I closed the tab before I could pin it, and couldn’t remember where I saw it…I found it again! I am pinning it this time, and sharing it, and will be making it!! Yummy..I think I will add this to our dessert table for family Thanksgiving this year. Yum!!! This looks so delicious!! I would absolutely love to make this!! Thank you for sharing this great recipe!! these look really yummy – i can’t wait to try them! Recipe wouldn’t pin on pinterest, but I got it. I shared it on Facebook. This looks great! I will have to try this next get together! I LOVE chocolate! My grandkids would tell me “death by chocolate”! I’m crazy for anything S’mores. Thanks!